De Novo classification, also known as Evaluation of Automatic Class III Designation, is a risk-based classification process of novel devices for which there are no legally marketed predicate devices. Under this program, products are automatically classified as Class III devices, despite their overall safety and effectiveness. All low to moderate risk devices classified as Class I or Class II based on a De Novo classification may be used as predicate for future device submissions. 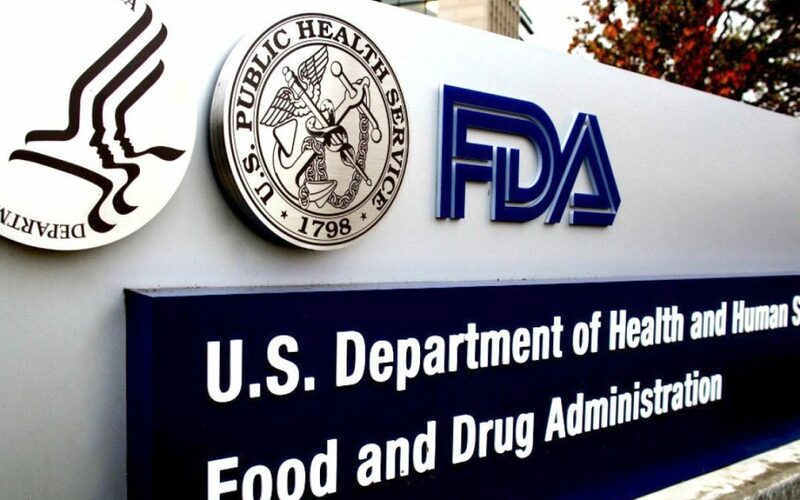 On December 5, 2018, the US Food and Drug Administration (FDA) published a proposed rule that aims to increase use of the De Novo pathway, incentivize manufacturers to take advantage of De Novo classification process, and make the submission process easier for companies that are attempting to establish a new predicate. De Novo classification process was established in 1997 as a result of section 513(f)(2) of the Federal Food, Drug, and Cosmetic Act (FD&C Act) included in Food and Drug Administration Modernization Act (FDAMA). Incorporation of section 513(f)(2) obligated FDA to create a risk-based regulatory system for medical devices. This led to the establishment of the De Novo pathway for all innovative devices that, due to having no substantially equivalent predicate device on the market, would be automatically classified as Class III devices. In 2012, Section 513(f)(2) was updated with a new provision, which intended to increase efficiency of the De Novo pathway. Modifications added to Section 513(f)(2) of the FD&C Act have allowed sponsors to submit De Novo requests without being first required to submit a 510(k). In 2017, three total final guidance documents and one draft document were released for the De Novo pathway. The final guidance documents clarify when the De Novo classification process may be used, discuss different actions that may be taken on De Novo requests, offer guidance on how to proceed when there is more than one device of the same type pending for submission, and define the 150 days review timeframe performance goal. The draft guidance from October 2017 provides information on required criteria for De Novo classification requests. The US Food and Drug Administration (FDA), on December 5, 2018, published a proposed rule, which, if finalized, will provide structure for and clarity on the De Novo classification process. The proposed rule also specifies requirements towards format and content of De Novo requests, and clarifies criteria on how to accept, review, grant and decline De Novo submissions. de novo pathway for novel devices,” said FDA Commissioner Scott Gottlieb. The proposed rule also says that De Novo requests can be submitted without receiving a substantially equivalent determination on a 510(k). This allows novel devices to skip the premarket approval (PMA) process and directly request classification into Class I or Class II. “FDA expects that the rule would reduce the time and costs associated with preparing and reviewing De Novo requests, and would generate net benefits in the form of cost savings for both private and government sectors,” according to the docket. What does this mean for the medical device industry? The proposed regulations on the De Novo classification process, if finalized, can increase number of established novel predicates, and lead to a bigger turnover of new medical devices released to the market as more predicates will create easier approval paths for manufacturers with similar products. Also, the new regulations align with last week’s FDA consideration to impose a 10-year limit when manufacturers choose older predicates. The De Novo classification process, even after proposed regulations, still puts at disadvantage companies that are trying to release devices with no substantially equivalent predicate device on the market. After one manufacturer invests a substantial amount of time and money to get its “first of its kind” product on the market, competitors can easily follow the path already set. Still, with the proposed regulations (i.e. the 10-year limit consideration and no obligatory 510(k) submission) and easier approval regulations for manufacturers, the steady growth of De Novo classification is more than likely to continue.